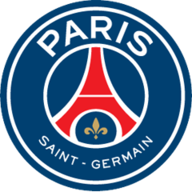 Match ends, Monaco 3, Paris Saint Germain 1. Second Half ends, Monaco 3, Paris Saint Germain 1. Foul by Nabil Dirar (Monaco). Substitution, Monaco. Boschilia replaces Bernardo Silva. Foul by Adrien Rabiot (Paris Saint Germain). Bernardo Silva (Monaco) wins a free kick in the attacking half. Adrien Rabiot (Paris Saint Germain) wins a free kick in the attacking half. Foul by Tiemoué Bakayoko (Monaco). Substitution, Paris Saint Germain. Hatem Ben Arfa replaces Lucas Moura. Own Goal by Serge Aurier, Paris Saint Germain. Monaco 3, Paris Saint Germain 1. Substitution, Monaco. Nabil Dirar replaces Valère Germain. Offside, Paris Saint Germain. Adrien Rabiot tries a through ball, but Edinson Cavani is caught offside. Corner, Paris Saint Germain. Conceded by Fabinho. Attempt blocked. Blaise Matuidi (Paris Saint Germain) left footed shot from the left side of the box is blocked. Assisted by Ángel Di María. Corner, Paris Saint Germain. Conceded by Djibril Sidibe. Foul by Valère Germain (Monaco). Substitution, Paris Saint Germain. Blaise Matuidi replaces Marco Verratti. Corner, Paris Saint Germain. Conceded by Kamil Glik. Offside, Paris Saint Germain. Thiago Motta tries a through ball, but Edinson Cavani is caught offside. Tiemoué Bakayoko (Monaco) wins a free kick in the defensive half. Goal! Monaco 2, Paris Saint Germain 1. Edinson Cavani (Paris Saint Germain) header from the centre of the box to the bottom right corner. Assisted by Serge Aurier with a headed pass following a corner. Corner, Paris Saint Germain. Conceded by Andrea Raggi. Substitution, Paris Saint Germain. Thomas Meunier replaces David Luiz. Corner, Monaco. Conceded by Presnel Kimpembe. Corner, Monaco. Conceded by David Luiz. Attempt blocked. Bernardo Silva (Monaco) left footed shot from the centre of the box is blocked. Assisted by Valère Germain. Attempt missed. Layvin Kurzawa (Paris Saint Germain) left footed shot from a difficult angle on the left is close, but misses to the left. Assisted by Lucas Moura. Attempt missed. Benjamin Mendy (Monaco) left footed shot from outside the box is too high. Attempt blocked. Tiemoué Bakayoko (Monaco) right footed shot from outside the box is blocked. Assisted by Benjamin Mendy. Adrien Rabiot (Paris Saint Germain) wins a free kick on the left wing. Marco Verratti (Paris Saint Germain) wins a free kick on the right wing. Second Half begins Monaco 2, Paris Saint Germain 0. First Half ends, Monaco 2, Paris Saint Germain 0. Goal! Monaco 2, Paris Saint Germain 0. Fabinho (Monaco) converts the penalty with a right footed shot to the bottom left corner. David Luiz (Paris Saint Germain) is shown the yellow card for a bad foul. Penalty conceded by David Luiz (Paris Saint Germain) after a foul in the penalty area. Penalty Monaco. Jemerson draws a foul in the penalty area. Attempt blocked. Bernardo Silva (Monaco) left footed shot from outside the box is blocked. Benjamin Mendy (Monaco) wins a free kick on the left wing. Offside, Paris Saint Germain. Thiago Motta tries a through ball, but Serge Aurier is caught offside. Attempt saved. Edinson Cavani (Paris Saint Germain) header from the centre of the box is saved in the centre of the goal. Assisted by Ángel Di María. Foul by Benjamin Mendy (Monaco). Attempt missed. Bernardo Silva (Monaco) left footed shot from the centre of the box is close, but misses to the left. Assisted by Fabinho. Corner, Paris Saint Germain. Conceded by Jemerson. Edinson Cavani (Paris Saint Germain) is shown the yellow card for a bad foul. Fabinho (Monaco) wins a free kick in the attacking half. Delay in match David Luiz (Paris Saint Germain) because of an injury. Foul by David Luiz (Paris Saint Germain). Danijel Subasic (Monaco) wins a free kick in the defensive half. Tiemoué Bakayoko (Monaco) is shown the yellow card for a bad foul. Attempt missed. Edinson Cavani (Paris Saint Germain) right footed shot from the centre of the box is close, but misses to the right. Assisted by Serge Aurier with a through ball. Tiemoué Bakayoko (Monaco) wins a free kick on the left wing. Delay in match Serge Aurier (Paris Saint Germain) because of an injury. Foul by Serge Aurier (Paris Saint Germain). Benjamin Mendy (Monaco) wins a free kick in the defensive half. Attempt missed. Valère Germain (Monaco) left footed shot from the centre of the box misses to the left. Assisted by Djibril Sidibe with a cross. David Luiz (Paris Saint Germain) wins a free kick in the defensive half. Attempt missed. 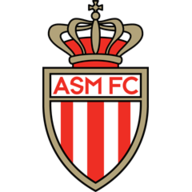 Bernardo Silva (Monaco) left footed shot from outside the box is high and wide to the left. Assisted by Jemerson. Goal! Monaco 1, Paris Saint Germain 0. João Moutinho (Monaco) right footed shot from the centre of the box to the bottom right corner. Assisted by Djibril Sidibe with a cross. Attempt blocked. Ángel Di María (Paris Saint Germain) left footed shot from outside the box is blocked. Assisted by Serge Aurier. Delay in match João Moutinho (Monaco) because of an injury. João Moutinho (Monaco) wins a free kick in the defensive half. Hand ball by Adrien Rabiot (Paris Saint Germain).